Pusarla Venkata Sindhu, better known by her stage name P. V. Sindhu, is an Indian professional badminton player, who became the first Indian woman to win an Olympic silver medal at the 2016 Summer Olympics. She has several accomplishments to her credits including the first Indian ever to win Korea Open Super Series and to to win a medal at the Badminton World Championships (Singles). In April 2017, she reached the highest ranking of number 2 in women singles, who’s currently world no 3 player. P. V. Sindhu was born on 5 July 1995, Hyderabad, Andhra Pradesh, India. Sindhu is currently pursuing her MBA at St. Ann’s College for Women in Mehdipatnam. Unfortunately, we do not know much about her relationship status due to her low personal profile. Sindhu made her International Debut in 2009 at the Sub-Junior Asian Badminton Championships in Colombo earning a bronze medal. With that win, she came onto the scene making her presence felt to the larger population of India. At the very young age, Sindhu pulled off massive upset bagging medals at World Championships, and obviously, her winning list is quite lengthy. As of September 2017, she played 326 matches representing India in singles of which she won 227 matches. And, in doubles, she won 9 out of 17 matched played. The ace shuttler P V Sindhu is yet to appear in films and television series. Being one of the popular and top earning athletes in the country, she has endorsed several brands and appeared in their TV commercials. She was made the first brand amabassador of Bridgestone India. Sindhu has an estimated net worth of $8 million US dollars as of 2017. To date, she has won cash prize of Rs 12 crore or $2 million US dollars. She lives with her family in a luxury house in Hyderabad and owns a BMW. Sindhu has been playing Badminton since she was 8. 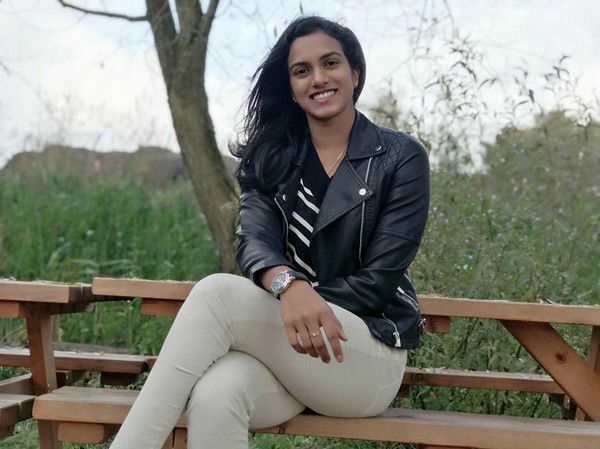 Sindhu first learned the basics of the sport with the guidance of Mehboob Ali at the badminton courts of Indian Railway Institute of Signal Engineering and Telecommunications in Secunderabad. She then joined Pullela Gopichand’s Gopichand Badminton Academy. P. V. Sindhu is the recipient of Rajiv Gandhi Khel Ratna Award 2016), Arjuna Award (2013) and Padma Shri Award, the fourth highest civilian honor (2015). She currently works as a deputy sports manager with Bharat Petroleum. She was made Deputy Collector by the Andhra Pradesh Government. In 2014, P V Sindhu was named FICCI Breakthrough Sportsperson of the Year. The same year, she was named NDTV Indian of the Year.